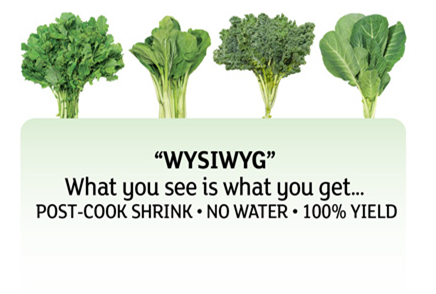 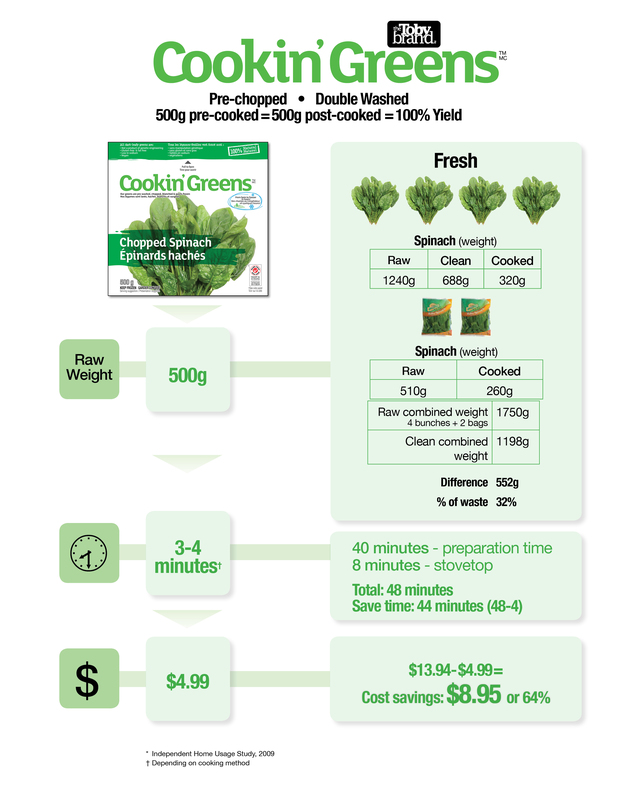 1 x 500g bag of Cookin’ Greens Chopped Spinach is the equivalent, in grams, to 3 x 300g frozen blocks of Spinach or 4 heads of a standard bunch of raw Spinach AND 2 x 205g bags of pre-packaged Spinach — a cost savings of approximately $8.95, or 64 per cent! 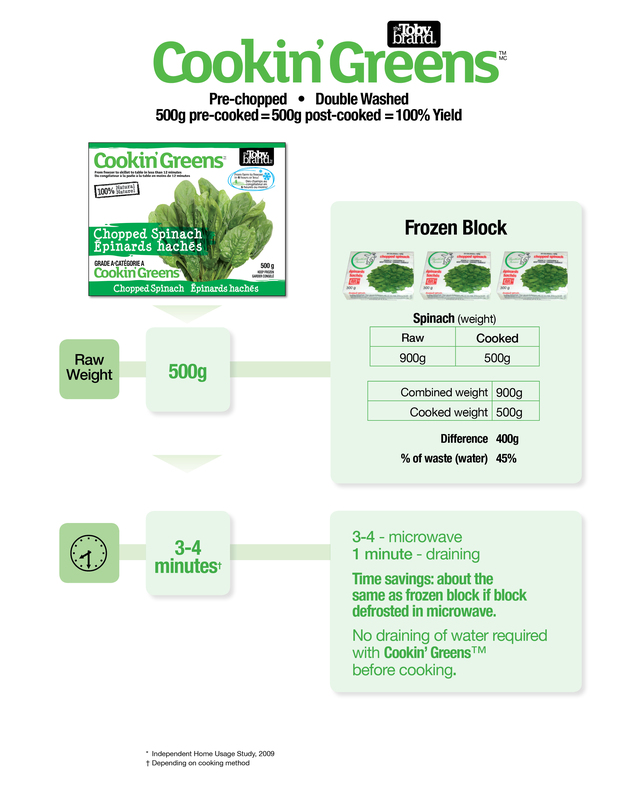 Not to mention, our Cookin’ Greens Chopped Spinach has no water loss upon cooking, and are confetti-like in texture (not a frozen mushy block). 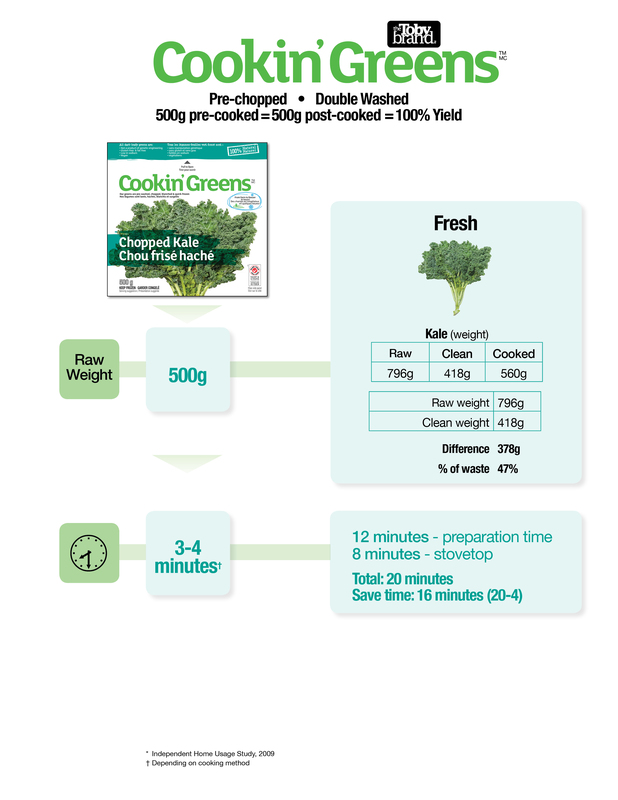 When you buy a head of fresh Kale, not only do you have to work hard to clean and chop it, but you also waste approximately 47 per cent of your greens, leaving you with less product than one Cookin’ Greens Chopped Kale 500g bag.